Census Surprise – Are Baby-Boomers Cashing Out? 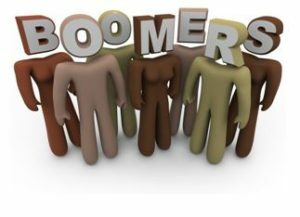 When we talk real estate, we need to consider the demographic context (Baby-boomers). By way of evidence, just think of how the baby-boom bulge has had a major effect on property values over the last 60 or so years. So what trends should we be aware of now? Brand new data from Census Canada can help us answer that. Not surprisingly, the Baby-Boomers (over 65 age groups) grew the fastest as the boomer bulge works its way towards the inevitable. The number of seniors in the region increased by a huge 23.8% (and a lower but still significant 19% in the city itself – possibly indicating that seniors are indeed cashing out and moving out of the city as they retire). But perhaps the most interesting data point is to do with the 30-to-34 age cohort. In spite of all the hand-wringing about people in their prime working and family years being unable to afford to live here, and leaving in droves, the stats show otherwise. In Greater Vancouver, the number of 30-34 year olds increased by 14.1% over the census period – more than double the overall growth rate. Even more surprising: that 30-to-34 cohort increased by 17.6% in the city of Vancouver. So the part of the region deemed the most problematic for young families saw the number of “young middle-agers” grow at almost 4 times the overall rate of growth. Millennials may be struggling, but apparently they aren’t leaving.